"That is a possibility worth pursuing," said DoT head Anthony Foxx at the Detroit Motor Show on Thursday. 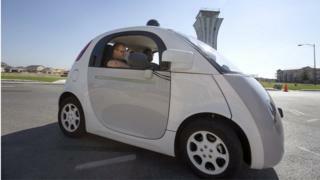 The plans are backed by carmakers and technology companies including Google, Tesla, Ford, General Motors and Volvo. The move by the Obama administration comes after several firms complained that differing rules across the US were creating unnecessary headaches for those developing autonomous technology. In October, Volvo said: "The absence of one set of rules means car makers cannot conduct credible tests to develop cars that meet all the different guidelines of all 50 US states." And after California issued its own rules stating that self-driving cars must still be driven by fully-qualified drivers, Google said the restriction was "perplexing". "This maintains the same old status quo and falls short on allowing this technology to reach its full potential, while excluding those who need to get around but cannot drive," the company said. Mr Foxx said his team was to spend the next six months developing the rules all states should adopt. As well as safety concerns, there are a number of intricacies that will be debated, such as who is liable when a self-driving car crashes - the driver or the software maker? While the long-term aim is for fully autonomous driving, discussions will also look at features already being pushed to vehicles on sale today. For example, drivers in the US are currently unable to use the BMW 7 series' self-parking feature - although this is expected to change soon. Another major player, Tesla, recently announced a feature by which a person can summon their car out of a parking spot. Tesla chief Elon Musk told the BBC this week that he envisions a time when one day, a Tesla will drive itself from Los Angeles to New York to pick up a passenger. The Department of Transport's proposals, which update guidelines set out in 2013, will soon be put to Congress for approval.